New Zealand house buyers borrowing at more than five times their income are left vulnerable, with mortgage rates on the rise, the Reserve Bank warns. However, banks continue to test that borrowers will be able to service their loans, in the face of any interest rate hikes. 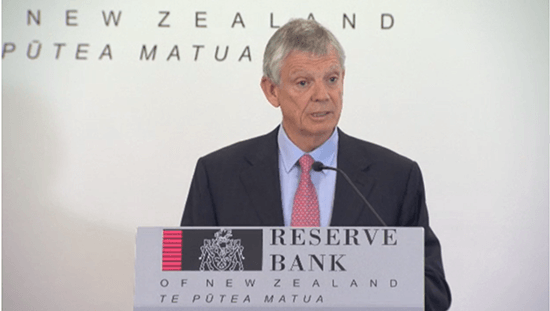 The Reserve Bank of New Zealand (RBNZ) released its May Financial Stability report today (31 May).While the overall economic outlook is positive for New Zealand, concerns remain around home loan borrowing and housing supply levels. 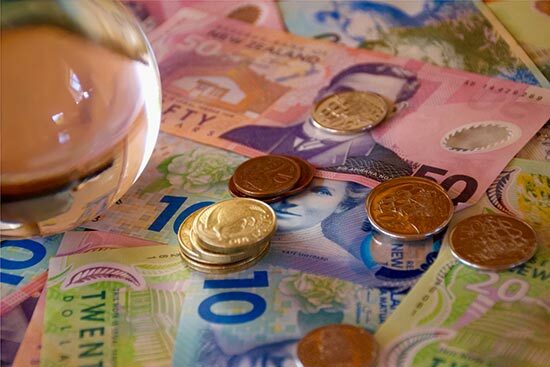 “House price growth has slowed in the past eight months, in response to tighter loan-to-value ratio (LVR) restrictions, and a more general tightening in credit and affordability pressures in parts of the country,” governor Graeme Wheeler says in a media release. “While residential building activity has continued to increase, the rate of house building remains insufficient to meet rapid population growth and the existing housing shortage. “House prices remain elevated relative to incomes and rents, and any resurgence would be of concern,” Mr Wheeler says. Deputy governor Grant Spencer agrees there is concern for those with high debt-to-income (DTI) ratio loans. “While the LVR restrictions have increased the banks’ resilience to any fall in house prices, a significant share of housing loans are being made at DTI ratios. Such borrowers tend to be more vulnerable to any increase in interest rates or declines in income. The Reserve Bank will soon release a consultation paper proposing the addition of DTI restrictions to our macro-prudential toolkit, “Mr Spencer says. In the media conference following the report release, the Reserve Bank acknowledged banks “stress test” to check whether home loan applications will be able to manage home loan repayments should interest rates increase. Many banks also provide home loan repayment calculators, so borrowers can factor in possible repayments into their budgets. But there are a small percentage of borrowers who are at “severe risk” if mortgage rates increase significantly, particularly in Auckland where house prices remain high, the financial stability report points out. “There is evidence that borrowers with high DTI ratios are the most vulnerable to rising mortgage rates. At a mortgage rate of 7 percent, around half of existing borrowers with DTI ratios above 5 are expected to face severe stress. However, this represents just 3 percent of borrowers,” according to the report. What is being done about high debt-to income ratio lending? One of the issues with high DTI loans is the flow-on effect of banks having to go offshore to access funds to lend locally. 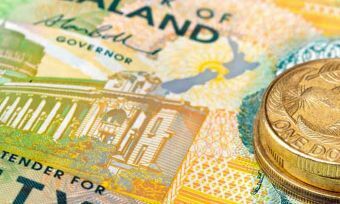 New Zealand banks’ increasing reliance on borrowing from overseas markets leaves the institutions vulnerable if these costs increase, and borrower’s likely to face higher mortgage rates. Many of the skilled building constructors have been dealing with earthquake rebuild in Canterbury, Kaikoura and Wellington. Auckland’s Unitary plan has taken a while to come through. RBNZ’s proposal on introducing a DTI measure to its toolkit is currently with finance minister Steven Joyce, but is due out for public consultation in about two weeks. RBNZ retains its stance that it will not use the DTI tool immediately even if introduced to the toolkit. But it says this macro prudential tool could be introduced to help resolve any “temporary” issues around high DTI lending.